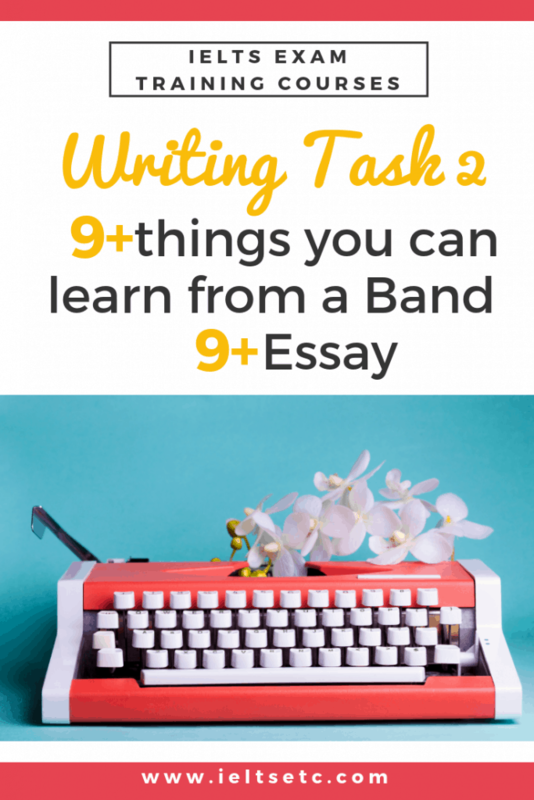 What does a Band 9 Task 2 essay look like? Recently I read this essay out on my podcast and got lots of people asking about it. I DIDN’T WRITE this essay (and I really don’t think I could in 40 minutes!). Just remember that this person probably didn’t write it in 40 minutes either! Why do you think this has happened? How can we reduce our impact on the natural world? It signals the solutions for the reader: So what can be done? There can be no doubt that human beings have been responsible for loss of wildlife because we tend to exploit the natural world for our own purposes. Our ancestors, however, understood their relationship with other species much better. I would argue that it is this sense of harmony with nature that we need to recapture. One of the main reasons why certain species of wildlife have become threatened is loss of habitat. As the population of the world has grown, humans have claimed increasingly large areas of land for the construction of homes and cities. An inevitable result has been the removal of plants and trees and the destruction of animal territories. Increasing urban development has, in turn, led to global warming, which is another contributing factor. Temperature and rainfall are critical to the survival of wildlife. Global warming has brought about a shift in weather patterns, resulting in drought, flooding and heatwaves, all of which have taken their toll on the natural world. So what can be done? I believe that the problem has to be tackled on a number of levels. As individuals, we should ensure that we treat the countryside with respect, avoid activities that harm animal life and, if possible, participate in projects or donate to charities that work to protect the world around us. However, it seems that the real work has to be done on a national and international level. What governments need to do in their own countries is to encourage sustainable building practices, limit urban growth and reduce human activities which contribute to global warming. But they also need to sign up to treaties that enable nations to collaborate in the protection of the world’s divers species. After all we cannot live without our flora and fauna. Many of the threats to plant and animal life are a direct result of human activity, so it is now time to redress the situation. If we do not do this, we may be the next species to become endangered. Join the Members Academy here. Find more IELTS Writing Task 2 tips and advice here.